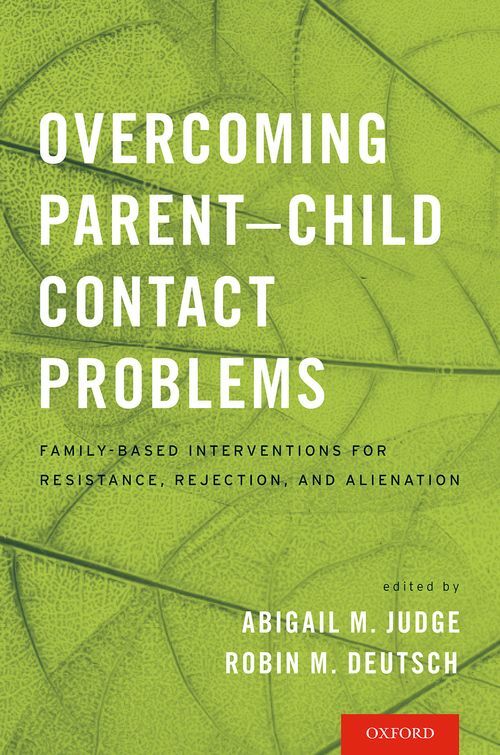 Abigail M. Judge, PhD, is a clinical and child and family forensic psychologist. Dr. Judge maintains a private practice in Cambridge, MA, is a Forensic Consultant at the Law and Psychiatry Service at Massachusetts General Hospital, and holds an academic appointment at Harvard Medical School. Dr. Judge provides psychotherapy, consultation, forensic evaluation, expert witness testimony, and reunification intervention. ; Robin M. Deutsch, Ph.D., ABPP, is a child and family forensic psychologist, board certified in couples and family practice. She is Director of the Center of Excellence for Children, Families and the Law at William James College in Newton, MA, where she developed the Certificate in Child and Family Forensic Issues and the Child and Family Evaluation Service. She is a founding Board member of Overcoming Barriers, was formerly an Associate Clinical Professor at Harvard Medical School, and was Director of Training and Forensic Services at the Children and the Law program at Massachusetts General Hospital for over 20 years. She provides mediation, consultation, reunification intervention, expert witness testimony, and parenting coordination services, as well as training for mental health professionals, lawyers, and judges on child custody evaluation, issues related to high-conflict divorce, and parenting coordination.